What did you get for your birthday this year? Whatever it was, we're sure it wasn't as dope as what Beyonce got Jay-Z. No, it wasn't a new watch or a dictionary with the page for "double entendre" bookmarked. She bought him a brand-new Bugatti Veyron, the car that holds the record as the most expensive and fastest production car in the world. The Volkswagen-owned supercar is made to order for each of its buyers, so you can get it however the hell you want. We haven't seen Hov's yet, but we have money on the table that it's going to in his favorite hue of blue. Jigga's gift puts him among an elite class of celebrities, ones who thought it just to own a $1.2 million supercar that gets around eight miles to the gallon. There aren't many of them, but we rounded all of them up—even two who don't own one, but purport to for music's sake. 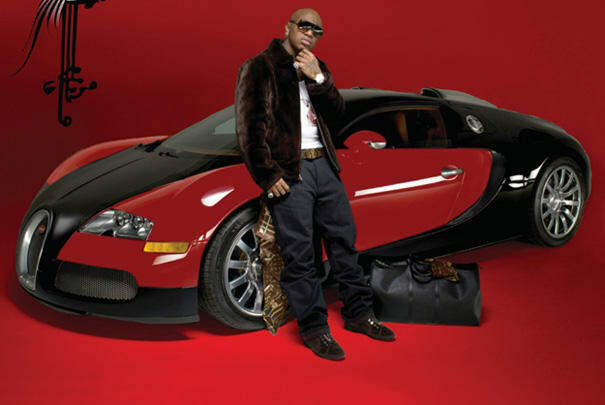 Keep reading to check out our History of Celebrities Driving the Bugatti Veyron.